You pay us R87 when you fly between Johannesburg and Cape Town. We’re 74% owned by Government. We have a 20% shareholding in Sao Paulo, the largest airport in the southern hemisphere. Airports are an indispensable part of our globalised world. There are 43 983 airports in the world, according to the CIA World Fact Book. South Africa has eight international airports. The largest airport in South Africa, by far, is O. R. Tambo International Airport near Johannesburg. It is Africa’s busiest airport. It is one of only three airports in the world with non-stop flights to all continents (except Antarctica). South Africa’s second busiest (third busiest in Africa) is Cape Town International Airport. It is the best airport in Africa, according to 2017 World Travel Awards. The air route between Johannesburg and Cape Town is the world’s ninth busiest, according to The Economist. The Money Show’s Bruce Whitfield interviewed Airports Company South Africa (Acsa) CEO Bongani Maseko for his weekly "The Science Of" feature. 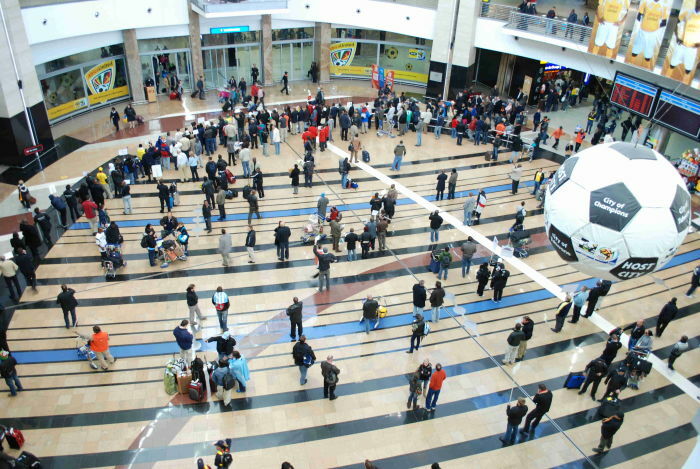 Acsa operates nine of South Africa’s airports. We subject ourselves to international surveys. Airports play an increasing role in tourism. The more we can grow our non-aeronautical business; the less we have to depend on our aeronautical business. We try and ensure the lines continue to move. We have shareholding in Mumbai, one of the fastest growing airports in the world. The Money Show’s Bruce Whitfield interviews Jared Molko, a former employee at Google. How do “influencers” work? The Money Show’s Bruce Whitfield interviews Bronwyn Williams of Flux Trends. Professor Nicola Kleyn (Dean and Marketing Expert at the Gordon Institute of Business Science) discusses the ins and outs of MBAs.